﻿Bruce Goodman's "The tyrannical megalomaniac"
His task was to assassinate the tyrannical megalomaniac. It was going to be simple. He had been invited to the Palace to receive a knighthood. 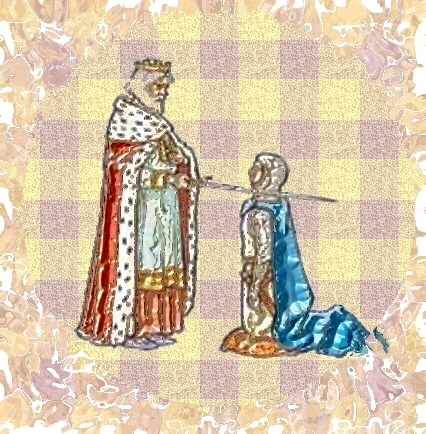 He would simply shake the King’s hand, and kneel. Then when the King dubbed him on each shoulder with the sword and said “Arise, Sir Darin”, he’d take out his gun and pull the trigger. So the tyrannical megalomaniac tapped Sir Darin on each shoulder and said “Arise”. Sir Darin pulled out his pistol and pulled the trigger. Nothing happened. He pulled the trigger again. Nothing happened. He pulled the trigger a third time. Still nothing happened. “Let me help,” said the tyrannical megalomaniac. He used the sword a second time, only this time it wasn’t to do a dub.